Strangpresse extruder heads for the 3D printing industry are used in the rapid prototyping and manufacturing of finished structures, tooling, molds and dies. We’re the first company to license Oak Ridge National Laboratory’s Big Area Additive Manufacturing (BAAM) technology, and we’ve leveraged those partnerships and our own experience to dramatically improve the additive manufacturing process. We work with numerous research partners to continually improve and innovate the Additive Manufacturing (AM) process. Those partners include Autodesk, The University of Texas at El Paso, Baylor University, Virginia Tech, Wichita State University, Kent State School of Architecture, University of Michigan, and Oak Ridge National Laboratory. Tested polymer materials include but are not limited to ABS, ABS with long length carbon fiber, glass, and nylon filled. Strangpresse was the first company to license Oak Ridge National Laboratory’s Big Area Additive Manufacturing (BAAM) technology. Combined with our own patents related to the processing of thermoplastics, we’ve overcome common AM industry issues related to consistency in throughput and melt quality over an infinite range of output volumes. 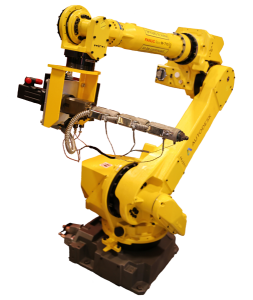 We have designed and manufactured a 500-pound-per-hour extruder and a 1,000-pound-per-hour extruder. 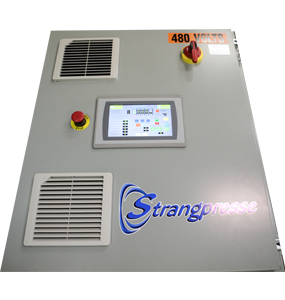 Strangpresse patented extruders have superb melt quality over a full range of RPM/output, low fiber breakage, shutoff/drooling control when printing in multi-axis directions, a multi-orifice nozzle, and an excellent unit mass-to-output ratio for inertia purposes. This technology has also allowed us to advance past problems associated with stopping and starting, and adjusting the nozzle orifice diameter, during the build process. Designed and manufactured with high performance, high flow, and rapid response times are marketed to system integrators for their specific applications. Slade Gardner from CTO Hackrod demonstrates how he uses Strangpresse Extruders to create some of the most powerful and effective products on this planet, and off of it. All of our extruders are designed to process many engineering grade plastic resins in pellet form, saving our customers both time and money. The use of plastic pellets allows our customers to acquire raw material on a competitive basis rather than from a captive supplier. * stated outputs are determined using properly dried engineering grade ABS pellets.